What is Engine Power Reduced message on GM vehicles? “Engine Power is Reduced,” this message can be seen on the dashboard of GM vehicles, which have an electronic throttle body (ETB). Those vehicles have no mechanic cable connecting the throttle plate and accelerator pedal. The electric motor inside the throttle body opens and closes the throttle plate, and a vehicle computer fully controls the movement of the plate by sending a signal to the motor. When the computer detects something wrong with the engine, it shows “engine power reduced” message and may put the engine into “limp home” mode. What to do when Engine Power Reduced message comes on? It depends on the problems. Interestingly, the vehicle acts differently depending on the type of the problem. Some obvious problem, overheat, for example, the message shows up, and a coolant-temperature-warning light illuminates as well. The acceleration and speed are heavily restricted. In this case, you have to stop the vehicle right away and cool it down. Sometimes, however, you don’t see any reduction in performance although the message says “Engine Power is Reduced.” In this case, you may drive to the destination. But, the engine performance may be reduced next time you drive. So, whenever you see this message, consider getting off the road and out of traffic for an emergency stop, or going to see a mechanic or straight home to diagnose the problems as soon as possible. If you have the message with the check engine light on, get the diagnostic trouble codes with an OBD scan tool. You may see P0120 thru P0124, P1516, P2135 thru P2140. All these codes are related to an electronic throttle body (ETB). If your vehicle has a lot of mileage, the inside of throttle body may be dirty and sticky. An excessive carbon built-up affects idle speed, and a sticky throttle plate can cause a hesitant acceleration. Both of them confuse the computer finding the right throttle position, and it sets one or more of the trouble codes above. So, if it’s dirty, clean it up with an appropriate cleaner and perform the idle relearn procedure. Read Also: How to clean the Throttle Body? Sometimes, a throttle position sensor (TPS) can be faulty and set the codes above. While most TPSs for the other manufacturers comes in one assembly with the throttle body, TPS for GM can be separate from an ETB and replaced relatively easily. You can save money by replacing the TPS only instead of replacing the whole assembly. TPS alone may cost around $100 less than the whole assembly, and it may come with a new harness. But, please make sure that you may still need to clean up the throttle body if it’s dirty and perform the idle relearn procedure. And, be aware the electric motor which opens and closes the throttle plate is integrated into the throttle body. So, if the problem lies on the electric motor (as well as gears and pinions), replacing TPS won’t fix the problem. Another common and possible cause related the ETB is a damaged harness or wires attached to an ETB. Most of GM’s ETBs have either 6 or 8-pin connector. These connectors are not that reliable. If you wiggle each wire, and the engine shows any kinds of reaction like an RPM surge, drop, or even an engine stall, you need to fix the harness. Fortunately, you can buy the new harness alone. It costs much less than the TPS or ETB. But, remember you still need the idle relearn procedure after the replacement. Engine Power Reduced is the message that the vehicle computer informs you that something wrong with the engine. At the same time, the computer can fully control and limit performance thanks to modern vehicle’s technology. You might think it’s annoying, but it actually protects the engine from further damages. So, whenever you see the message, act appropriately. Sometimes, you may not feel much reduction in performance. Even so, you should diagnose and find the cause of the problem as soon as possible. 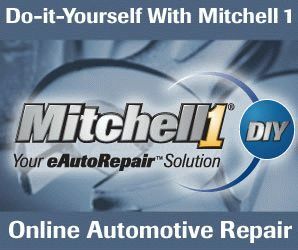 This entry was posted in Auto Repair and tagged GM, Throttle Body on April 5, 2019 by admin.